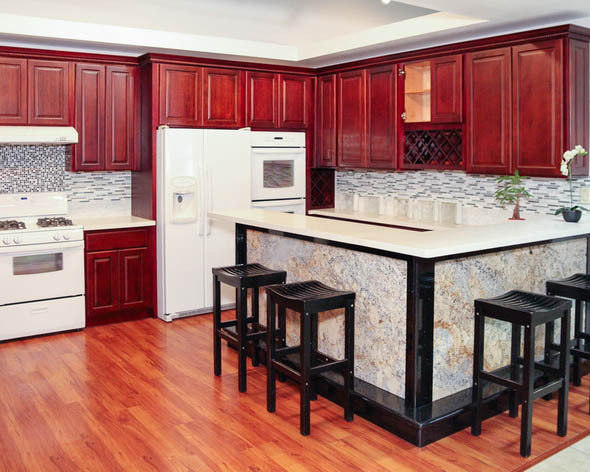 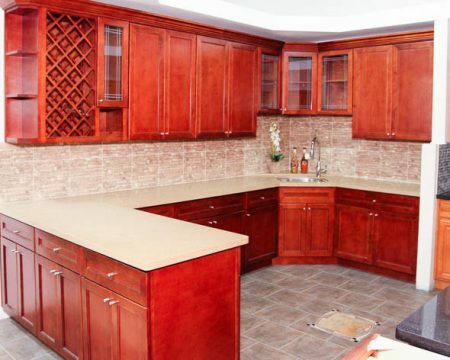 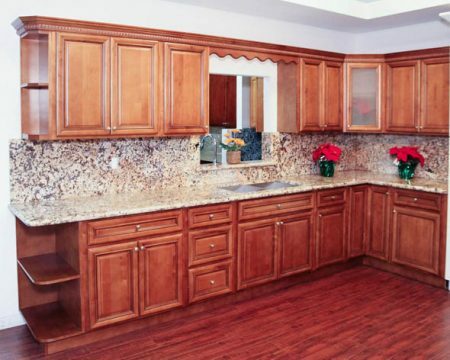 Cherry SQ Cabinets feature a smooth, fine and general straight wood grain with colors that range from deep chocolate to light reddish-gray brown. 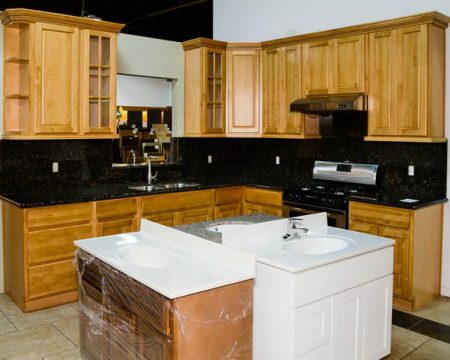 Light yellow or light brown sapwood areas may also be present. 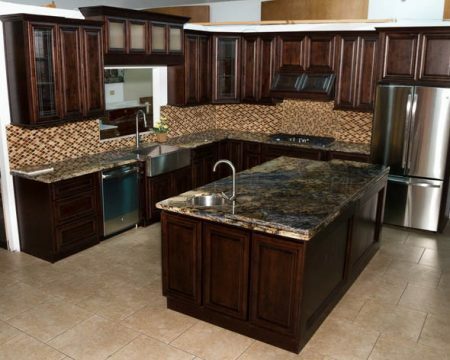 Walnut offers warm, rich colors that accept finishes well.